34: Do you roll your eyes when you hear the word "goal setting?" I used to roll my eyes too, but I've changed the way I think about goals. Since it's a brand new quarter, I want to share with you my new way of thinking about goal setting with some goal setting tips. 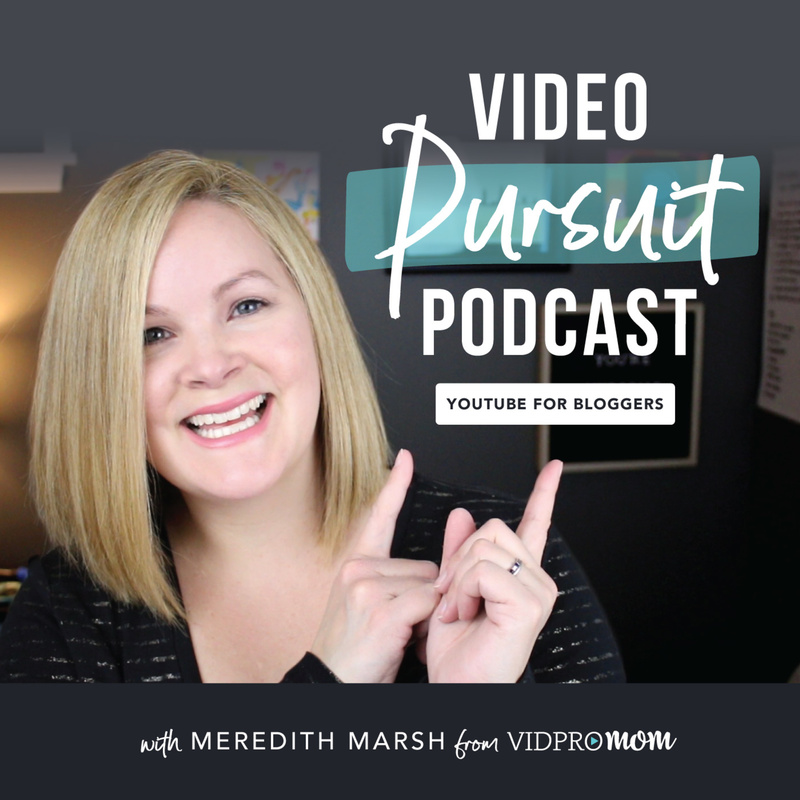 In this special Christmas episode of the Video Pursuit Podcast, Meredith issues a short, easy (and fun) challenge to all content consumers and content creators. See you in 2019! 24: How would you like to grow your YouTube subscriber number directly from your blog? Jillian Leslie is my guest today as we discuss an easy way to get your blog readers and website traffic to hit that subscribe button from your site. 23: Ever feel like you're in a content creation rut? Although I do sometimes feel burned out, that's not the only reason why I took a short break from the VidProMom YouTube channel. Listen to this episode to find out what kept me away from shooting & editing for YouTube! 22: Holly Gillen from Holly G Studios has a background in video production and cinematography and she helps people master video content for their businesses and personal brands. In this episode, we talk about pre-planning video content before you hit that record button! 20: If you haven't gotten serious about Pinterest yet, my co-host, Julie Evink and I will break down the details and set you on the right path with Tailwind, a Pinterest scheduling tool. Tailwind is not only a scheduler, but also the place to be for Tailwind Tribes and the new SmartLoop function. Julie breaks it down for us and gives me a sneak peek into what Tailwind SmartLoop is all about. 19: I just got back from VidSummit 2018 with Darrel Eves and Shonduras, and I have so many ACTIONABLE takeaways from this conference, I needed to share them with you! So, my VidSummit To-Do list has been turned into a podcast episode. 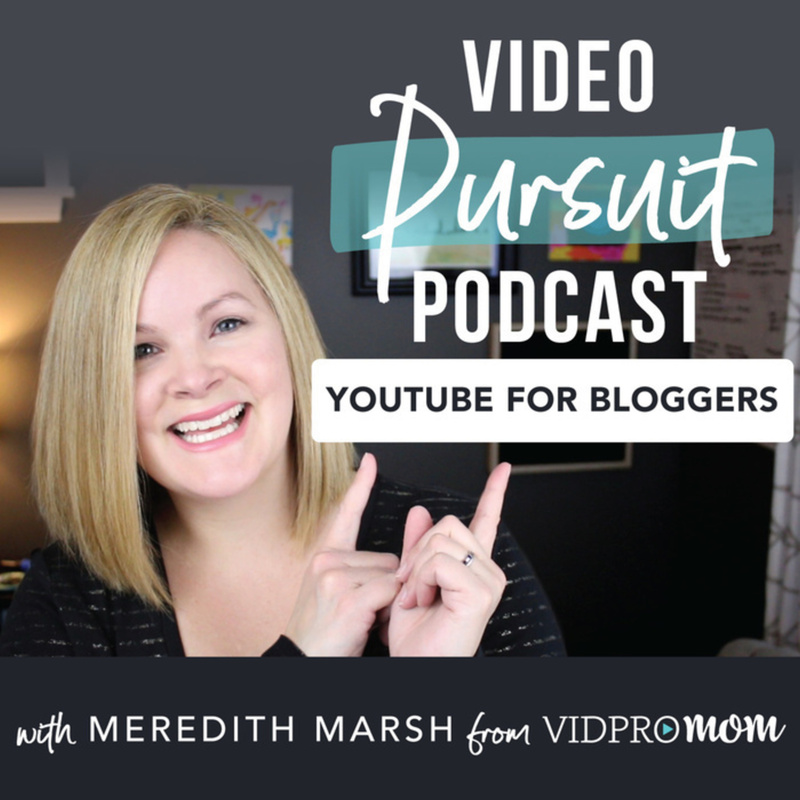 18: Is your YouTube channel a hot mess? The "blank slate" feeling is overwhelming if you're just starting out (or even if you've been at it for a while), but if you're curious about how to create a pro-looking YouTube channel, I have a few small tweaks you can make. In fact, starting from a blank slate is an advantage!